How true that is. However, in the past, I spent so much time thinking that my thoughts were bad and not His that at times I couldn't move forward. I couldn't take that first step. I was bound by indecision. It was exhausting and frustrating, to say the least. I was constantly second-guessing myself and not being very joyful. However, as I have grown in my relationship with Him, I have come to realize that because He lives in me, I can think like Him and have His thoughts. He made me and delights in me, so maybe my thoughts are His thoughts too! I'm also reminded that He allows me to choose and doesn't box me in, so I shouldn't put Him in a box either! God knows the way better than I do. Even though at times, the way has been hard, it has taught so much about Him! His grace, faithfulness, peace, freedom from worry and fear and how to love others as He loves them. These days I put less pressure on myself and make decisions a little more easily because I know that He will lead and guide and I don't have to be 100% correct, I just need to take a step forward! I LOVE that, just come with Me. Jesus says, "Let's have fun together and see what happens. I want you to enjoy life and see my abundance for you." 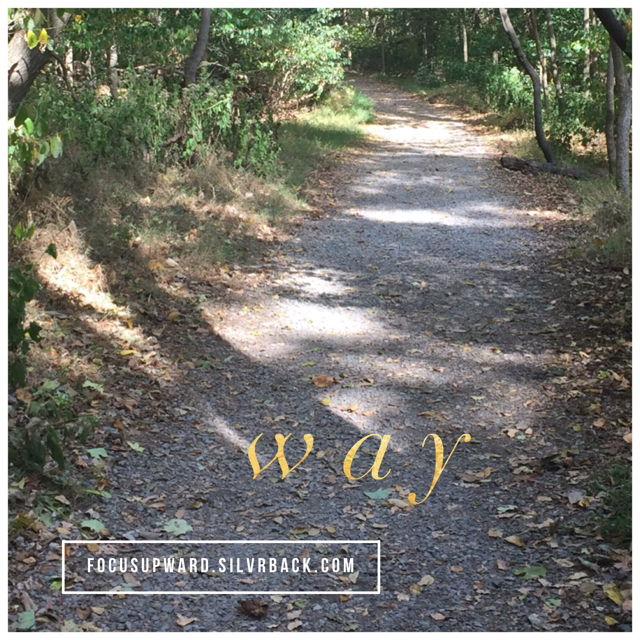 What is the one step forward you can take today that allows Him to show you His way?